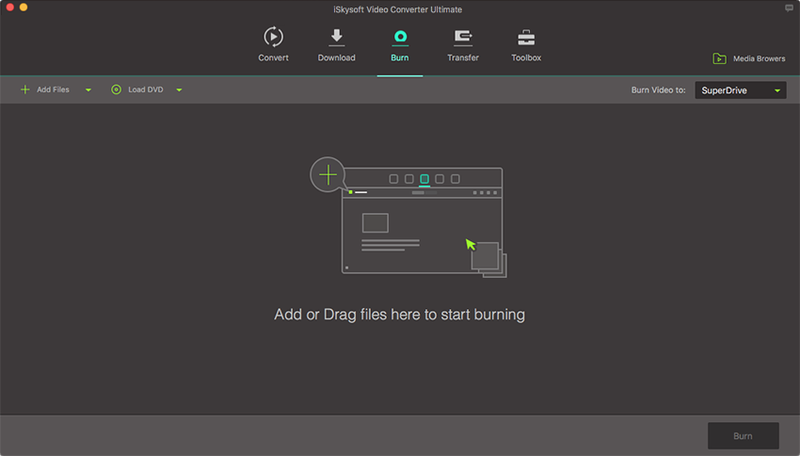 iSkysoft Video Converter Ultimate for Mac does a great job on burning videos to DVD as well as converting video. Now you can get detailed guide on how to burn DVD with this all-in-one video and DVD solution. Firstly, you need to download, install and launch the iSkysoft Video Converter Ultimate program on your Mac. Then go to the “Burn” tab and import your video. In the “Burn” tab, you're able to burn a DVD disc either from video, audio, or content on homemade DVDs, DVD movies, or DVD files (VIDEO_TS, ISO, dvdmedia). It provides an easy way to DVD movies on TV or portable DVD players. Now please give a name and choose a menu to your DVD disc. At the same time, you can choose the quality and aspect ratio of the DVD file. Apart from that, you could also choose from the 26 preset DVD templates including different themes such as romantic, wedding, spring, ocean, science, etc. After that, simply click the "Burn" button and the program will start burning your DVD disc. When finished, the DVD will be ejected and you can play DVD on any home DVD player. Note: You can also make DVD Folder, .dvdmedia, SuperDrive or ISO file by choose options from the "Burn to" dropdown list.